Bump and Go missile launcher is an excellent toy to keep your child entertained for hours at a great price! 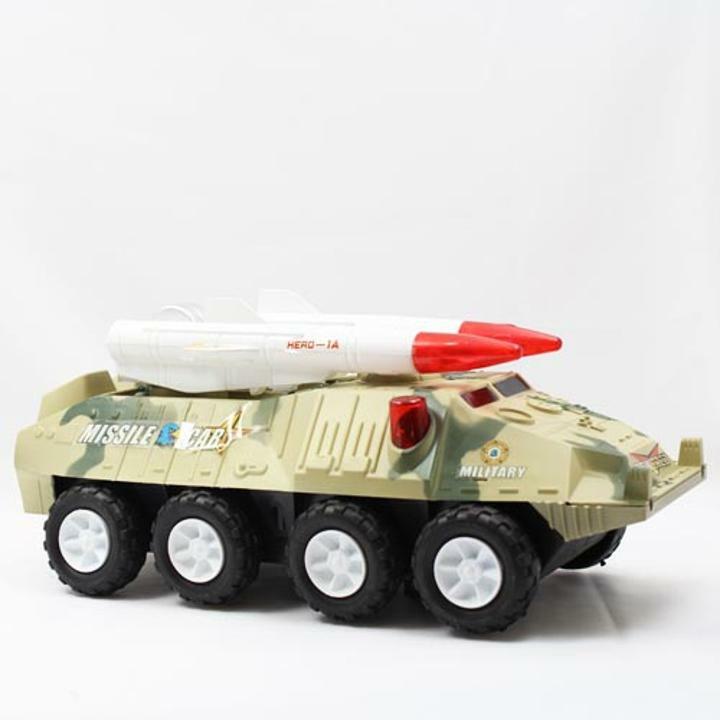 This military missile car has sounds and lights and rotating track missiles. Requires 6 "AA" batteries (not included).